In a tumbler, muddle blueberries, brown sugar, and lemon until sugar is dissolved. You don't want to completely mash the blueberries to a pulp, just break the skin. Add ice and rum and top with soda. Give it a light stir and enjoy! The original recipe (see here) I found for this called for a topper of ginger ale but since I'm not fond of super sweet drinks and brown sugar and fresh blueberries were in the equation, I decided to opt for plain club soda instead. This looks amazing! Will definitely be enjoying one of these tonight, thanks for sharing!! 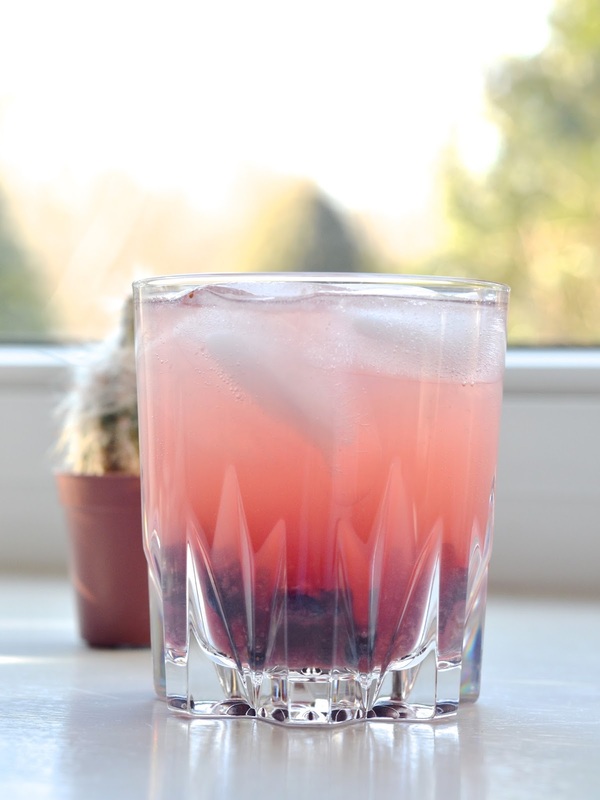 You always have the best cocktail recipes! I have an ever-growing list of cocktails to try, and most of the drinks on the list are from you. Now I just have to get to it! This looks so good - so excited to welcome back the warm weather and rum based cocktails seem like the perfect way to do it, haha! Hope you have a great weekend! OMG YUM! This seriously looks so pretty and sounds amazing! You always have the best drinks!! This sounds unbelievably tasty! Perfect for these first bits of spring! That looks so good and just begs for warm Summer months! Thanks so sharing!! Sign me up for anything with brown sugar! Yum! YUMMY! I love any drink with rum in it. This drink looks too pretty to drink!! Haha I'm sure it was delicious :) Have an amazing day!! Sounds scrumptious. Muddled blackberries...yummy. However I've never been able to muddle lightly. That's why if I ever just want to break the skin to release the juice, i muddle with a table spoon. It does way less damage. Oh, wow. This looks pretty and delicious! Definitely perfect for a spring brunch!